because it needs fills desperately. Like really desperately. 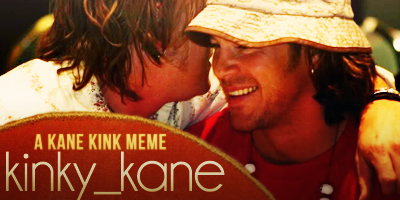 SO if you are a writer who enjoys the Kane RPS fandom, and kink, or if you're someone who likes to try new things, or challenge yourself, or anything, go look through the prompts, from this months and the previous months entries, and make someone's day.